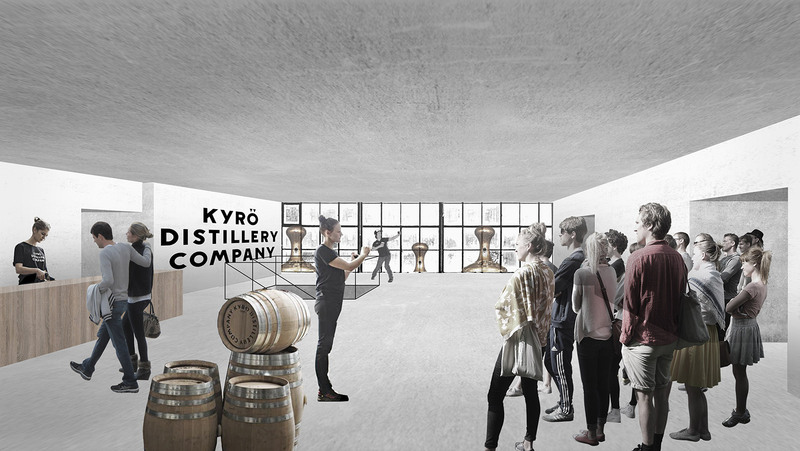 Kyrö Distillery Company produces single malt rye whisky and rye gin in an old dairy in Isokyrö, a rural town in Western Finland. 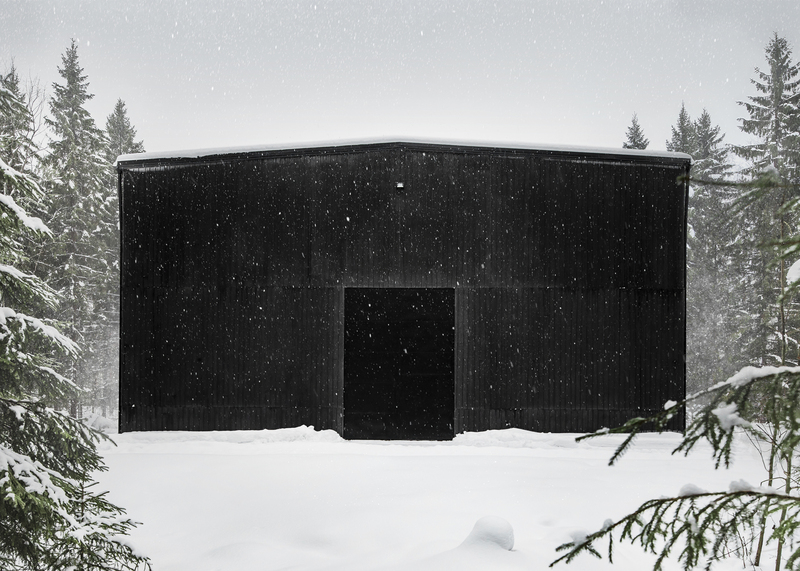 New extensions are needed once their award-winning products are increasingly sold worldwide. 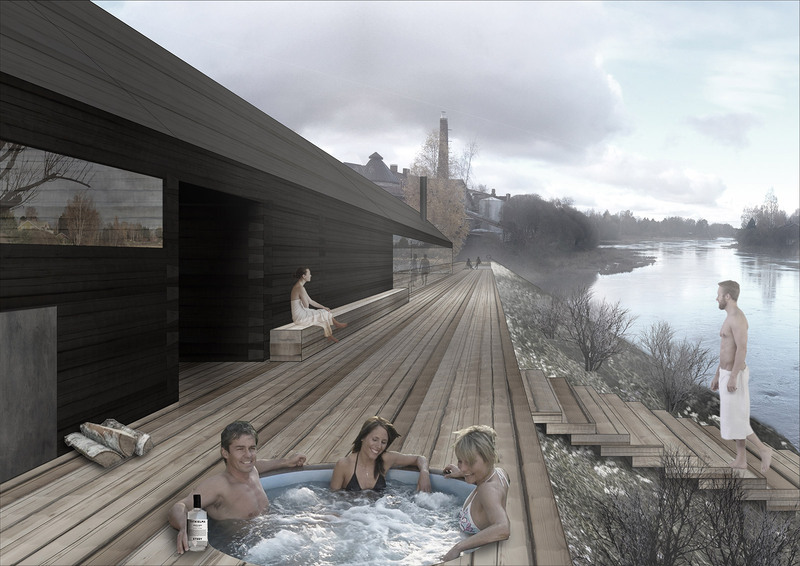 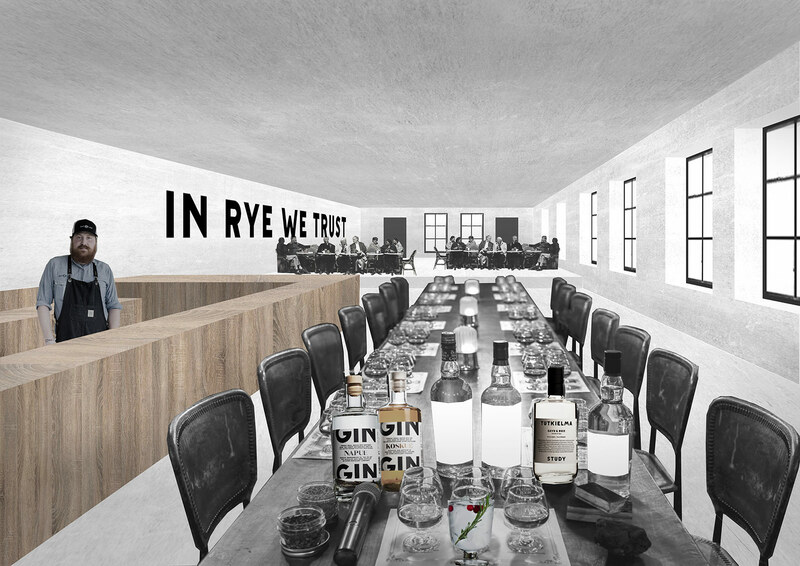 Whisky distillery, storage buildings and a visitor center with a riverside sauna fit to heritage surroundings, whiskey culture and Kyrö brand image. 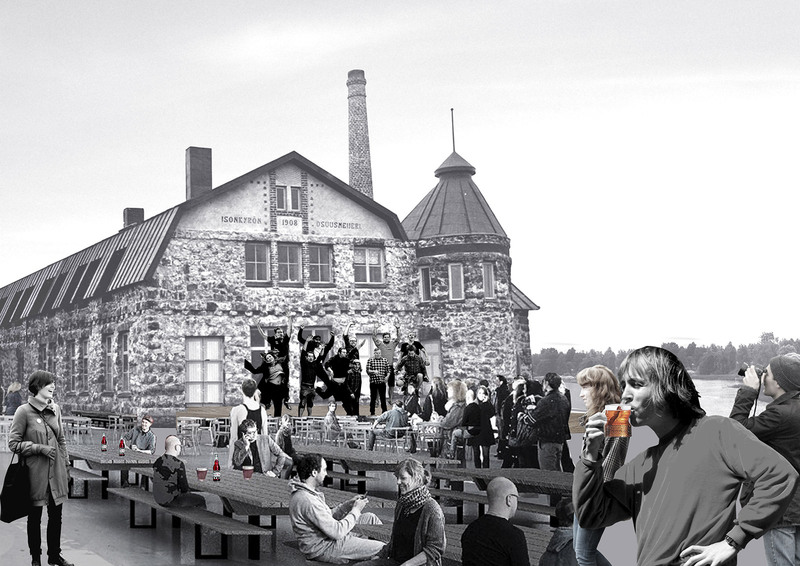 Renovated old buildings together with the new ones, offer proper facilities in beautiful Ostrobothnian landscape, bringing added value to the company. 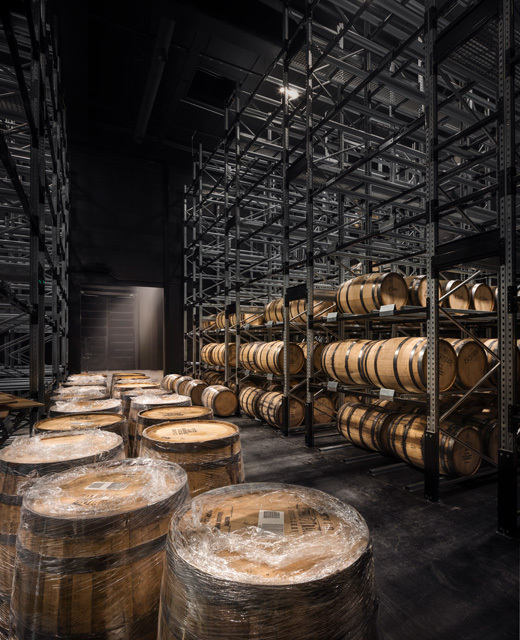 The first major completed building stage is the new barrel storage building. 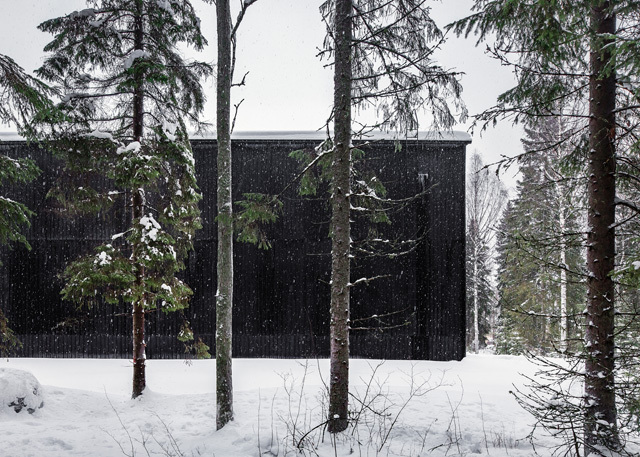 The façade is inspired by typical local wooden barns. 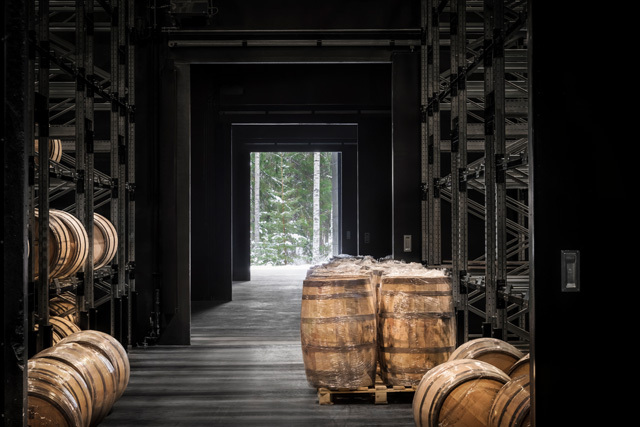 The concrete exterior wall elements were cast on a mold made of planks from a dismantled barn owned by the mother-in-law of one of the distillery owners. 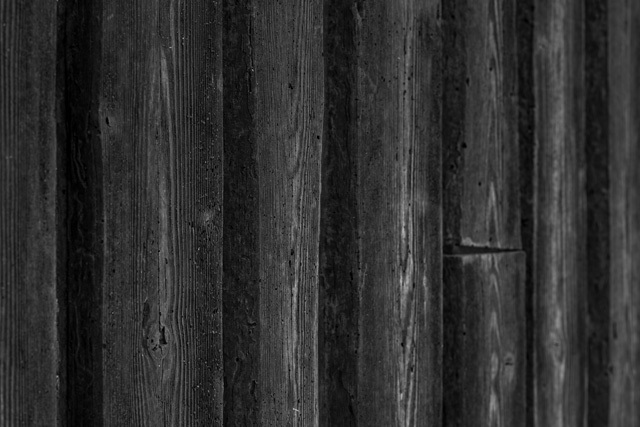 Funnily, concrete reproduces the weathered wood material so well that many people have been touching the façade and still believing it is wood.